Heartburn is a painful burning sensation experienced in the chest and upper stomach due to the reflux of stomach acid in the oesophagus. The reflux is caused due to the relaxation of the lower oesophageal sphincter (LES) muscle that is supposed to stay tight and guard the stomach entrance to prevent the backflow of acid. The relaxation of this muscle is, in turn, triggered usually by poor diet and lifestyle, alcoholism, smoking, obesity, and other physiological and pathological conditions. Heartburn is a common disorder and can be treated easily by simple medications and home remedies. However, negligence of this condition can lead to the development of a severe and chronic ailment called gastro oesophageal reflux disease (GERD). In this article, we will discuss if Cinnamon, a very popular herb/spice can help with heartburn issues. Cinnamon is a herb and spice that comes from the bark of a plant native to China, India and Southeast Asia. Used popularly as an ingredient in cooking in many cultures for centuries, it also finds its use in folk medicine. In many societies, it is used as a treatment for bronchitis, additional therapeutic uses include neurological problems, cancer, gastrointestinal disorders, heart issues, control of diabetes, infections, loss of appetite, and several other conditions. There are many types of cinnamon but the two, Ceylon cinnamon and cassia cinnamon are more popularly used. Cinnamon bark is used to make powders, capsules, tablets, oils, and teas for edible purposes as well as for medicinal ones. Daily intake of this herb in small quantities or occasional intake in therapeutic doses cures heartburns effectively but there is not much evidence available for this. Dyspepsia or indigestion is one of the major causes of heartburn. 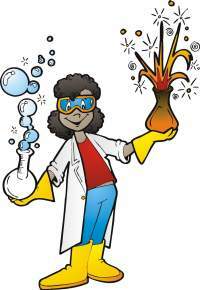 The poorly digested food is retained for a longer time in the stomach and the acid production is increased consequently. This also changes the pressure on the sphincter muscle which relaxes or opens up giving way to the acid to flow upwards in the oesophagus, causing heartburn. It has been shown that cinnamon cures dyspepsia by its antimicrobial effects (ability to kill harmful pathogens). In a study on functional dyspepsia caused due to a common pathogen called H. pylorus, it was found that administering cinnamon in a14-dayy therapy significantly cures indigestion and indigestion related disorders, including heartburn. Another study provides evidence about exactly how cinnamon reduces dyspepsia. It states that it specifically has bacteriostatic effects against H. pylorus. This means that it limits the growth of these bacteria in the stomach, reducing the harmful effects it causes . What it means: This essentially proves that cinnamon has potent anti-microbial properties and it can cure the stomach of the harmful bacteria, thereby restoring its health and promoting proper digestion. This ultimately reduces the incidences of acid reflux and heartburn . Inflammation is another painful effect of heartburn that can create havoc if not treated on time. It occurs when the oesophageal wall gets exposed to the acids frequently. This destroys its protective mucous layer covering and the cells beneath, activating certain inflammatory pathways. These pathways generate some pro-inflammatory molecules (molecules that provoke further inflammation) in the cells such as nitric oxide (NO) and prostaglandin E2 (PGE2). These in turn attract immune cells to attack the tissue and cause pain or tissue death. If not treated, they lead to oxidation and ulceration which can also lead to cancer. 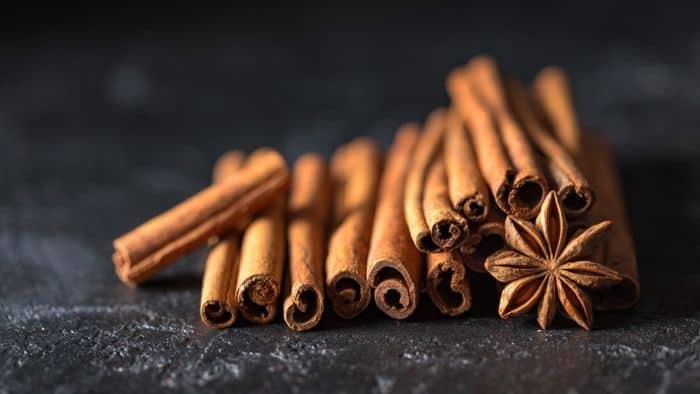 In a study on essential oils derived from cinnamon twigs it was found that it contains certain anti-inflammatory compounds like trans-cinnamaldehyde, caryophyllene oxide, l-borneol,l-bornyl acetate, eugenol, β-caryophyllene, E-nerolidol, and cinnamyl acetate. What it means: All these compounds reduce the activity of pro-inflammatory molecules like NO and PGE2 to ultimately relieve pain and other effects. This clearly points at the potential ability of cinnamon to reduce the after effects of heartburn such as inflammation and pain that may lead to certain other grave disorders . Oxidation is another serious effect of heartburn that can cause ulceration, hernia and cancer. It starts with inflammation in the wall of the oesophagus which if not treated becomes chronic due to tissue damage. This damage then leads to tissue necrosis (death) and further complications. Oxidation is specifically caused because inflammation results in the activation of reactive oxygen species (ROS) that attack the tissue and kill it. This happens because the body assumes the area of inflammation as infected and wants to kill it. However, in the case of heartburn, there is an absence of infection and the tissue is still attacked and destroyed, causing severe problems. In a study done on anti-oxidant effects of cinnamon and its components responsible for this activity, it was found that cinnamaldehyde, oleoresin, δ-cadinene and eugenol (major components of different parts of cinnamon) are responsible for scavenging the reactive oxygen species in the tissues. What it means: This study essentially proves that cinnamon has the ability to clear the cells from the damaging ROS and their effects, thus protecting the gut from heartburn induced pain, ulceration and further complications. It can thus be used as a natural home remedy for heartburn effectively . There has not been any high profile research yet to identify the ideal dosage and consumption of cinnamon by people with different health conditions and age groups. Generally, cinnamon is widely available in the market as dried barks, bark powders, tablets, capsules and oils. It is traditionally taken as teas and in food for general consumption which appears to be harmless. For therapeutic uses, it appears to be safe when taken by mouth in amounts up to 6 grams daily for not more than 6 weeks. Some people may have allergies to the bark or any other part which should be looked out for. In case of any doubt, a doctor or pharmacist should be consulted before the consumption of this herb in any form. Cinnamon is one of the few herbs that rarely cause any side effects. It can be taken in small amounts daily with food or as teas. However, it contains a compound called coumarin, which is similar to that of warfarin. Warfarin is used to dilute the blood clots. Cinnamon might enhance the effect of blood thinning in patients already on warfarin. In such cases, a doctor should be consulted before taking it. It may also interfere with the activity of certain drugs which are work opposite to warfarin. Thus the patients who are on such medications should stay away from cinnamon to avoid any side effects. Cinnamon should also not be used in place of any conventional medication that has been prescribed by the doctor . Cinnamon is a very effective and safe natural herb that helps heal and prevent many disorders including heartburn. It has potent anti-bacterial; anti-fungal properties that help treat microbial induced indigestion. It also helps heal inflammation and oxidation in several tissues in the body upon regular consumption in limited quantities. If taken under supervision and with care, it can help ameliorate heartburn and its related disorders.